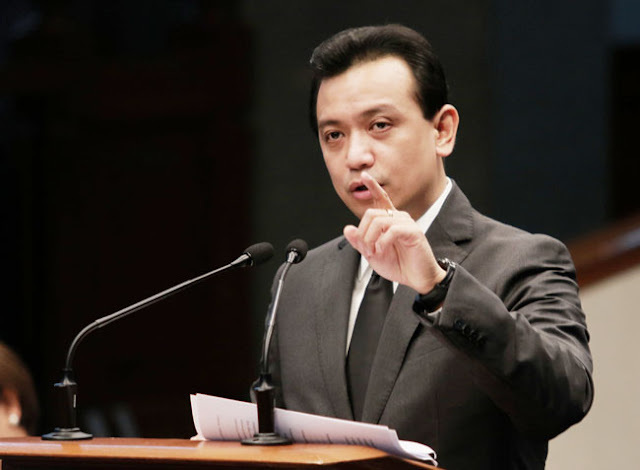 Senador Richard Gordon, chairman of the Senate Blue Ribbon Committee said Senador Antonio Trillanes IV should expelled from the Senate because of his repeatedly display of unparliamentary cunduct and disorderly behavior. 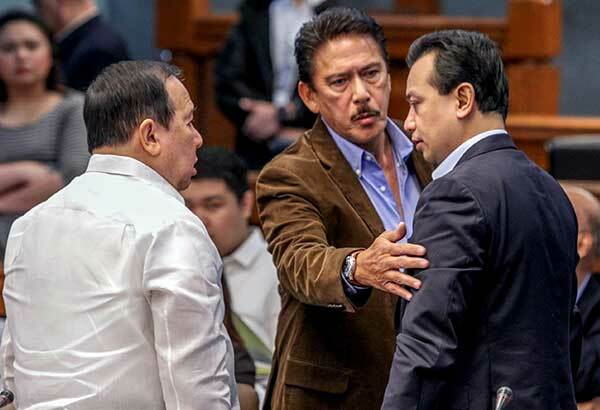 “The continuing, schematic and incorrigible abrasive conduct of Sen. Trillanes should be dealt with accordingly, maybe censure is not even enough,” Gordon said. “Ang sa akin (dapat) expelled because hindi lang isang beses e. At saka may namatay na (As far as I’m concerned, he must be expelled because it was not the first time. And someone died),” Gordon said. “Dahil sa kanyang pam-bubully nagpakamatay si kwan (late Defense secretary Angelo Reyes) e rightly or wrongly. O kaya na stroke si (former) Ambassador (to China Sonia) Brady. Seryoso ‘yan ‘wag natin sabihin na sinisisi ko lang dahil dun (Because of his bullying, former Defense secretary Angelo committed suicide. Ambassador Brady had a stroke. That’s serious, but don’t say I’m blaming him for that),” Gordon said. Meanwhile, During the 26th Mindanao Business Conference in Cagayan de Oro City, President Rodrigo Duterte vowed to uncover Sen. Trillanes bank deposits. “I’m coming up with Trillanes’ bank deposits all over. Ngayon nakuha ko na, akala kasi niya hindi ko rin kaya e [I already got them, he thinks I cannot do it]. So I am giving in a few days the number of deposits that he has with…Chinese joint accounts. It’s all over, Hong Kong, Australia, America,” Duterte said. 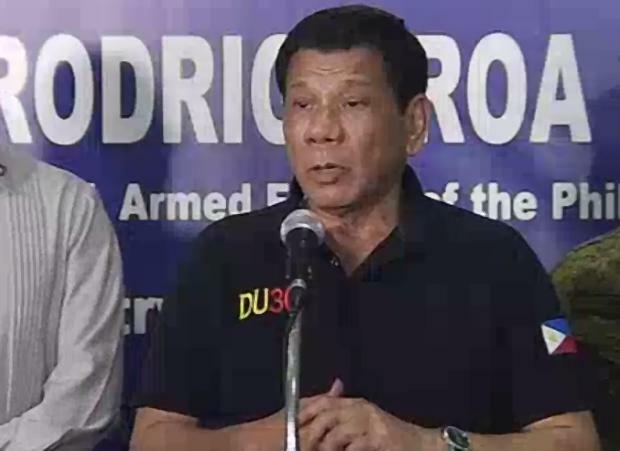 "Meron din more than 200 consultants niya sa DAP, may kaso siya sa DAP.. abugado ako just looking at it, inubos nya sa pamigay, he will have to answer..matagal na yan saakin, pero medyo sumusobra na kasi, I destroy him or he will destroy me, ganoon lang yan eh."